Of all the types of cancer out there, perhaps one of the hardest to detect and treat is pancreatic cancer. The disease, which is diagnosed in over 53,000 people in the U.S. every year and is the fourth-leading cause of cancer death, often can’t be diagnosed until it is in an advanced stage when surgically removing tumors is no longer an option. However, a new discovery by researchers from the University of Pennsylvania Perelman School of Medicine might change that. In a recent study, they were able to identify two blood biomarkers that may allow medical professionals to detect the disease much earlier and save lives. "Early detection of cancer has had a critical influence on lessening the impact of many types of cancer, including breast, colon, and cervical cancer. A long-standing concern has been that patients with pancreatic cancer are often not diagnosed until it is too late for the best chance at effective treatment," explains Dr. Robert Vonderheide. "Having a biomarker test for this disease could dramatically alter the outlook for these patients." The researchers came upon their discovery after using a human-cell model of pancreatic cancer progression first developed in 2013. With the tool, they genetically modified late stage cancer cells and reverted them back to their stem-cell states. The process enabled them to reprogram the cells to progress to an early cancerous state, which revealed the presence of biomarkers. 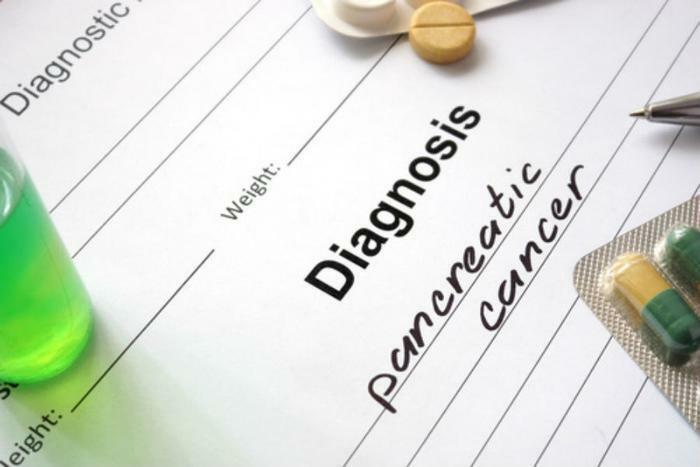 The researchers said that tests for one of the biomarkers, called plasma thrombospiondin-2 (THBS2), along with a known later-stage biomarker called CA19-9 allowed a commercially available protein-detection assay to reliably detect the presence of pancreatic cancer in patients. "Positive results for THBS2 or CA19-9 concentrations in the blood consistently and correctly identified all stages of the cancer," said team leader Dr. Ken Zaret. "Notably, THBS2 concentrations combined with CA19-9 identified early stages better than any other known method." The researchers believe that doctors will be able to use these early-detection biomarkers to test the blood of pancreatic cancer patients and those at high risk for developing pancreatic cancer, especially those who have a first-degree relative with pancreatic cancer, are genetically predisposed to the disease, or have a sudden onset of diabetes after the age of 50. The full study has been published in Science Translational Medicine.